If Whisky is your choice of gift, this one is a very good choice. 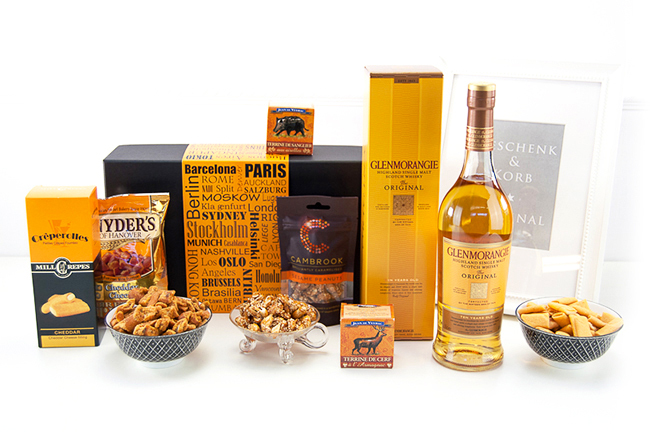 The award winning Whisky comes with gourmet snacks in a wooden gift Basket. 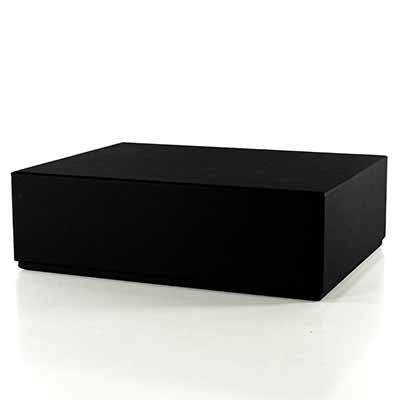 There are plenty of occasions, this gift works for all of them. 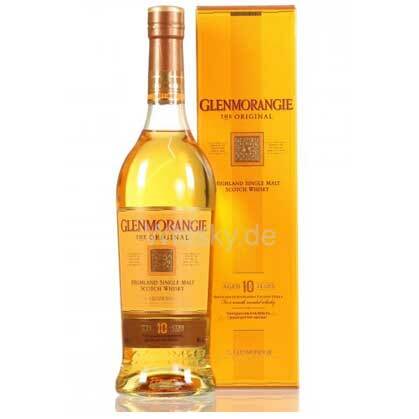 700 ml Glenmorangie Single Malt Whisky, 10 yrs. The original expression of our elegant, floral spirit and the real backbone of the Glenmorangie range. A ten-year-old single malt, Glenmorangie Original is produced by marrying the delicate spirit that emerges from Scotlands tallest stills, with first and second fill American white oak casks. Aroma - The scent of citrus and ripening peaches is softened by the aroma of vanilla. Taste - First, vanilla is detected on the tongue before it ripples along the palate bringing a burst of flowery fruitiness. 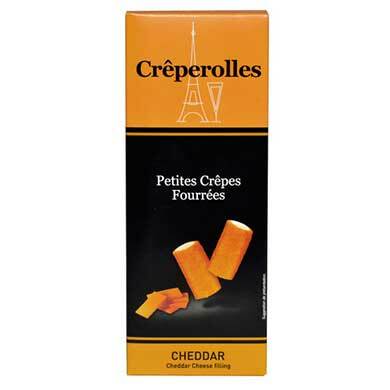 Finish - About a minute after tasting, you are left with a clean and salving aftertaste with hints of orange and peach. Briliantly caramelised peanuts are created using the finest ingredients, free from artificial colors, flavours and preservatives. 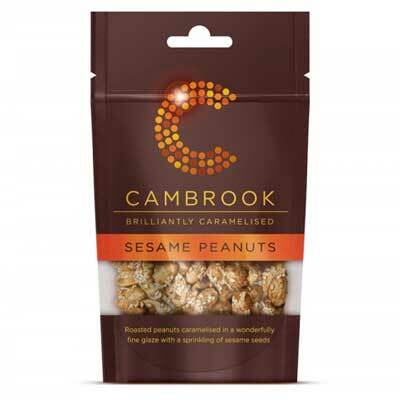 From Cambrook- Here at Cambrook we pride ourselves on being specialist caramelisers of nuts, creating a dazzlingly fine layer of caramelised sugar and honey around each and every nut. Caramelising nuts is tricky - the nuts and ingredients are carefully heated and gently tumbled in traditional continental roasting pans, until, at a particular moment, the perfect caramelised nut is created- Golden, subtly sweet, crunchy and totally irresistible. All of our brilliantly caramelised products - packets and bars - are created using the finest ingredients and are free from artificial colours, flavours and preservatives. 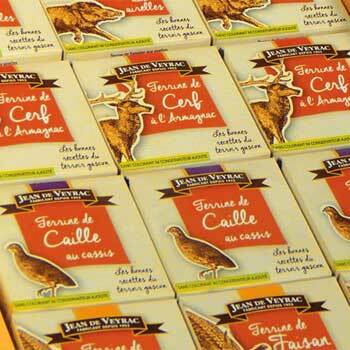 This small but very lucious French delicacy works very nice with bread and as appetizer. 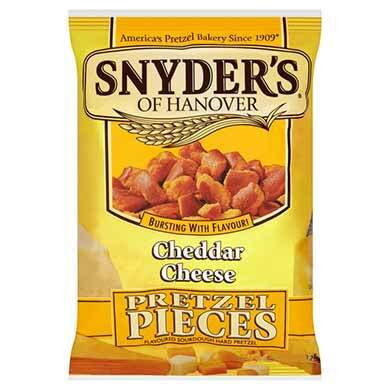 peanuts 61% , sugar, sesame 9% , honey, salt. May contain traces of other nuts. Keep dry and protected from heat store.